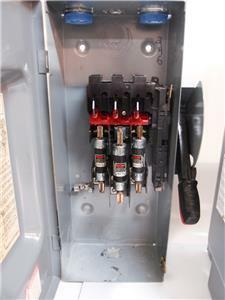 Condition Details: All switches are used. 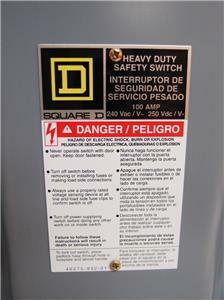 This is a lot of 5 Square D heavy duty enclosed switch boxes. 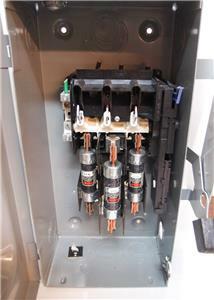 Four of the five boxes are 100 Amps with the final box being 60 Amp. 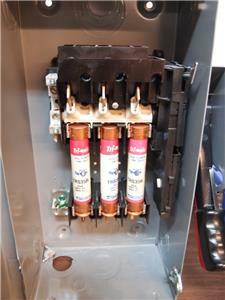 One of the H323N boxes is missing it's three fuses. 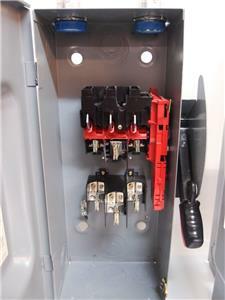 The lot includes Three H323N switch boxes, one H362N switch box, & one d323N switch box. See pictures for full description. 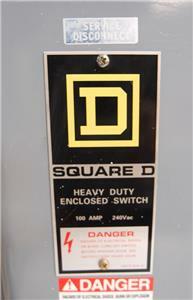 Description:This is a lot of 5 Square D heavy duty enclosed switch boxes. 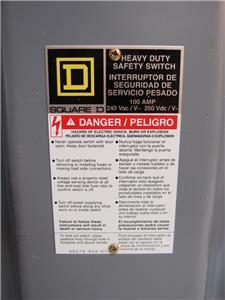 Four of the five boxes are 100 Amps with the final box being 60 Amp. 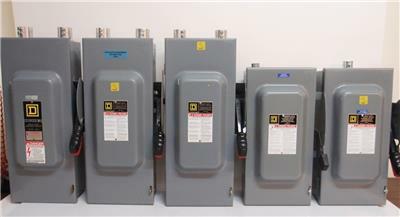 The lot includes Three H323N switch boxes, one H362N switch box, & one d323N switch box. 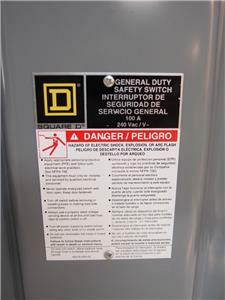 See pictures for full description. 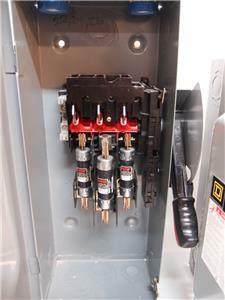 Defects: One of the H323N boxes is missing it's three fuses. 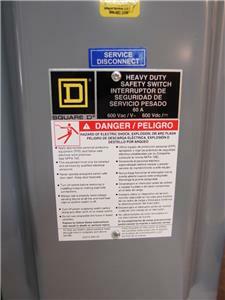 Shipping Dimensions: 31" x 36" x 38" 220lbs Freight Shipping Only.